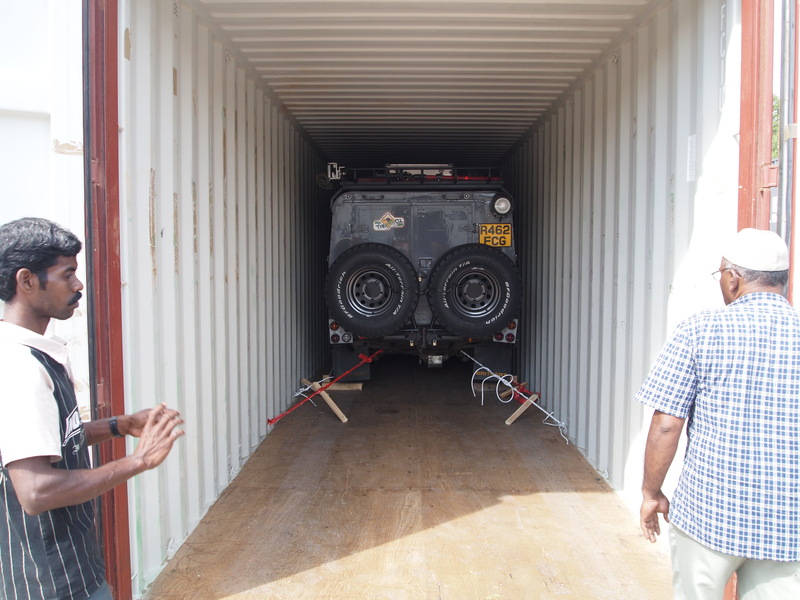 After getting a phone call on Thursday it turns out that Harriet the Land Rover arrived about a week early to Port Klang! We cut our plans in Malacca short and went down to unpack the container and more importantly, to see if she would start. 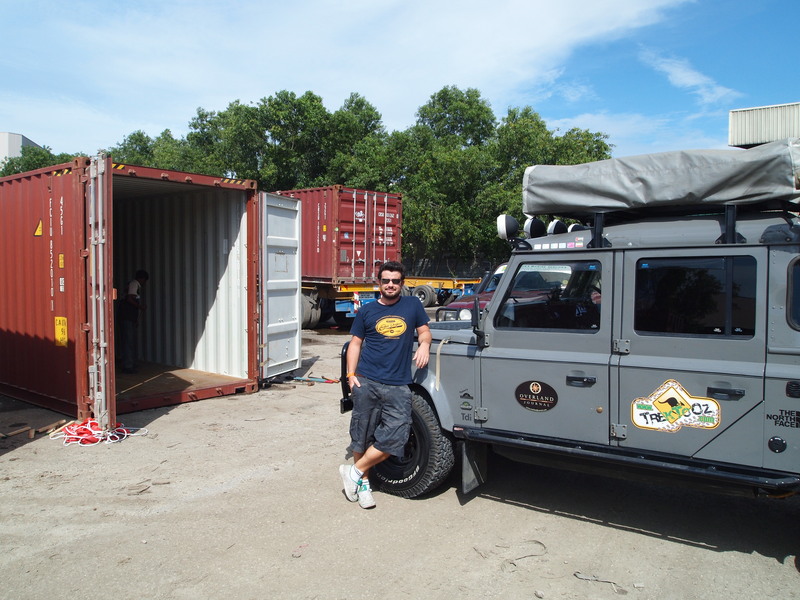 Our agent, the charismatic Mr $1, said that no Land Rover he had ever shipped in had ever started first time, I had faith though! On opening the container it seems the boys who packed it in Dubai had done a great job and the car had not moved an inch, then the moment of truth arrived… I felt my heart in my mouth as I turned on the battery, and as I put the key in the ignition there was sweat on my brow and a slight tremor in my hand. But I needn’t have worried, she started first time!! Never doubted she would, even the agent was impressed! So we have the car back and after spending a few days getting stuff sorted we should be off early next week! Wow! First time start……… now that is impressive for a landy! Well done guys. sorry about the date confusion again.